Following the likes of Pune, Indore, Bhopal and Hyderabad, now Ahmedabad is set to hit the capital market with municipal bonds within the first fortnight of January 2019. Ahmedabad Municipal Corporation (AMC) is banking on the two AA+ ratings that it bagged recently, along with a rise in revenue streams to attract investments on the instrument. According to Vijay Nehra, municipal commissioner, AMC, the Rs 200 crore taxable municipal bond would be the city's fifth after it had raised one each in 1998, 2002, 2004 and 2005. In the current financial year 2018-19, AMC has bagged AA+ rating from two agencies including Crisil and India Rating, thereby hoping for banks, mutual funds, pension funds as well as insurance companies to invest in its bonds. "This is also because instruments with AA+ rating are considered to have the highest degree of safety regarding timely servicing of financial obligation and having lowest credit risk," said Nehra. "The ratings have come on the back of the corporation witnessing a 28 per cent rise in tax collection, reduction in power costs due to 100 per cent LED conversion and windmill projects, increase in non-tax revenue income as well as reduction in interest costs by Rs 135 crore through loan restructuring," said Nehra. AMC, which is incurring a capital expenditure worth Rs 600 crore for water supply, waste management and other infrastructure projects including cleaning of Sabarmati river, is expecting to raise Rs 400 crore of it from the government and the rest Rs 200 crore through municipal bonds. While there seems to be some buoyancy returning to cities raising funds through municipal bonds, analysts believe the market is still at a nascent stage for the instruments among investors. "While municipal bonds are the need of the hour, unfortunately, the instrument hasn't picked up despite being there since '90s. If we look at the asset class, the municipal bond as an instrument in itself is not very deep and underdeveloped. That is one challenge which municipalities are facing. Investors' perception of municipalities is also another challenge. One doesn't know much about the municipalities or how much money do they generate and act as a hindrance in awareness being low," said Devendra Pant, Chief Economist, India Ratings. In recent times, municipal bonds have been picking up after Pune became the first city after a long time to issue one. It all began with Pune Municipal Corporation coming up with bonds worth Rs 200 crore in 2017 for funding a 24x7 water supply project. Later in February 2018, Greater Hyderabad Municipal Corporation (GHMC) issued bonds worth Rs 200 crore for a strategic road development project. As per a Crisil estimate, municipalities are likely to raise Rs 15000 crore overall by 2023, of which Rs 6000 crore is likely to be raised through municipal bonds within the next three years. 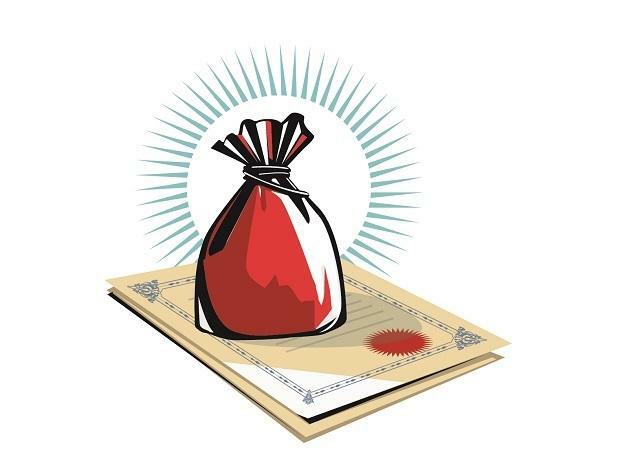 Indore issued Rs 140 crore worth of bonds, while Bhopal Municipal Corporation raised Rs 175 crore in September 2018.